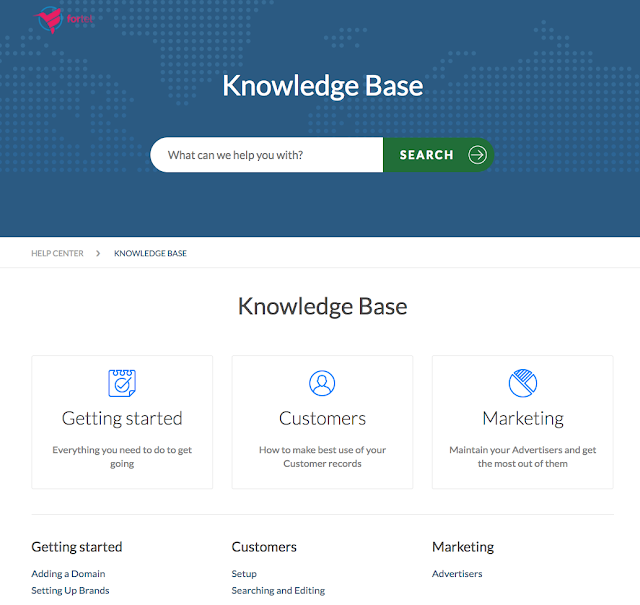 This visual change is hugely helpful for Agents wanting to view an article in the Employee Knowledge Base or the Public Knowledge Base and also for Administrators who want to see how their changes effect the Knowledge Base immediately. With this visual change we also wanted to make maintaining the Knowledge Base even easier and to ensure this is available to any Role you decide should be able to maintain the Knowledge Base. 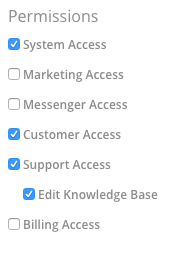 As such there is now a new permission in the Roles -> Permissions section under Support for "Edit Knowledge Base"
Support Managers will have this permission by default, and you can enable this for any other Role that you want to maintain the Knowledge Base. 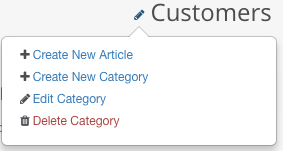 Any Category or Article that is not published will be displayed in red to indicate that these are not visible to public or agents. 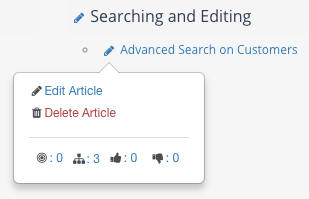 We wanted to make the visibility and positioning of new Categories and Articles really intuitive, so this is all now defined by where you click on the Create option. 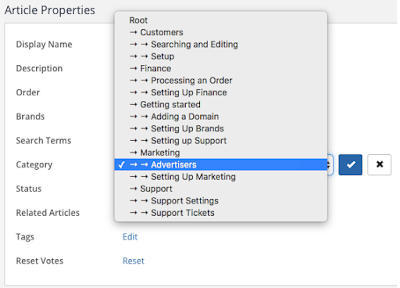 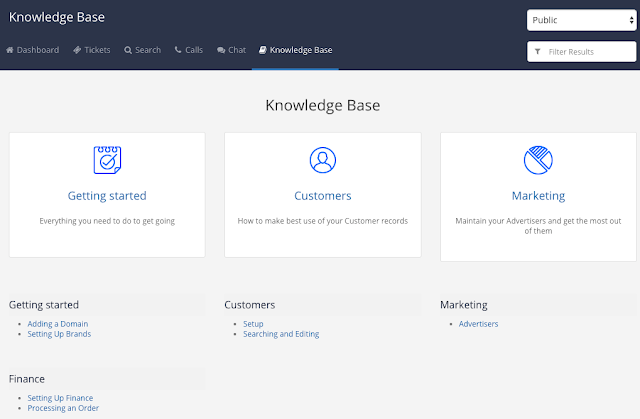 As an example if you are in the Public Knowledge Base via the drop down, and click on Create New Category against the Customers Category, you are creating a new Category within Customers, in the Public Knowledge Base. 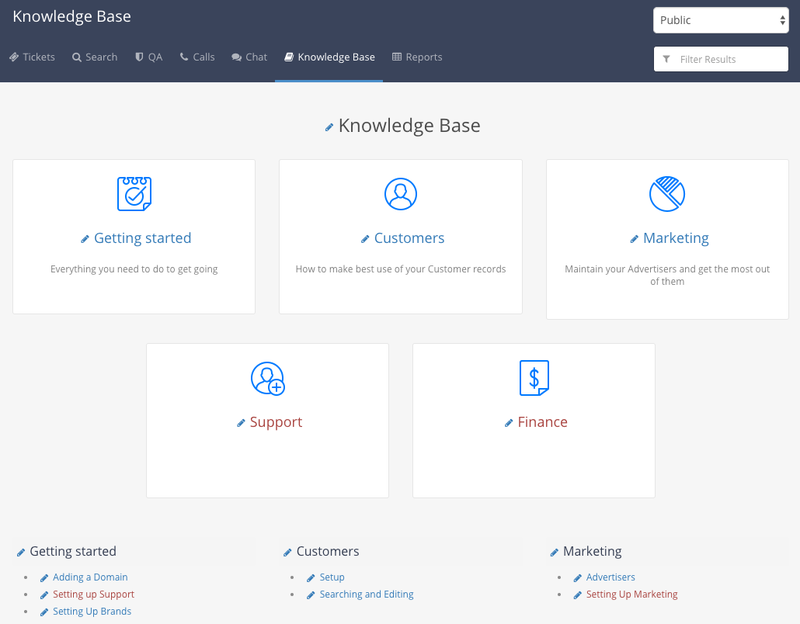 These improvements to the Knowledge Base should make maintaining the Knowledge Base much easier, and should allow your agents to make even greater use of the Knowledge Base from within Fortifi.